Analytical Chemistry Laboratory needed for quantitative analysis of samples of cold pressed grapefruit peel oil (GFP Oil) (think orange oil) for ppm amounts of thiabendazole (TBZ)? 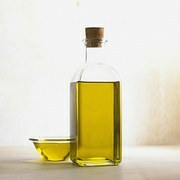 The oil needs to contain 68 ppm TBZ and it needs to be less than 15 ppm. Thus the range is TBZ is 5 to 100 ppm. We plan to vacuum distill the product to remove the excess TBZ in the distillation bottoms. Ultimately, the only certified method needed is to confirm TBZ is less than 15 ppm in the final product. During the process development phase, we will need determinations of PPM of TBZ in distillation samples. Range is between 5 ppm and 100 ppm. I have copies of published articles on analytical methods for TBZ in citrus oils.